Released April 2, 1917, Getting the Evidence is a one-reel Black Diamond Comedy filmed and produced by the United States Motion Picture Corporation (USMPC) in Wilkes-Barre, Pennsylvania. The film was distributed by the Paramount Pictures. 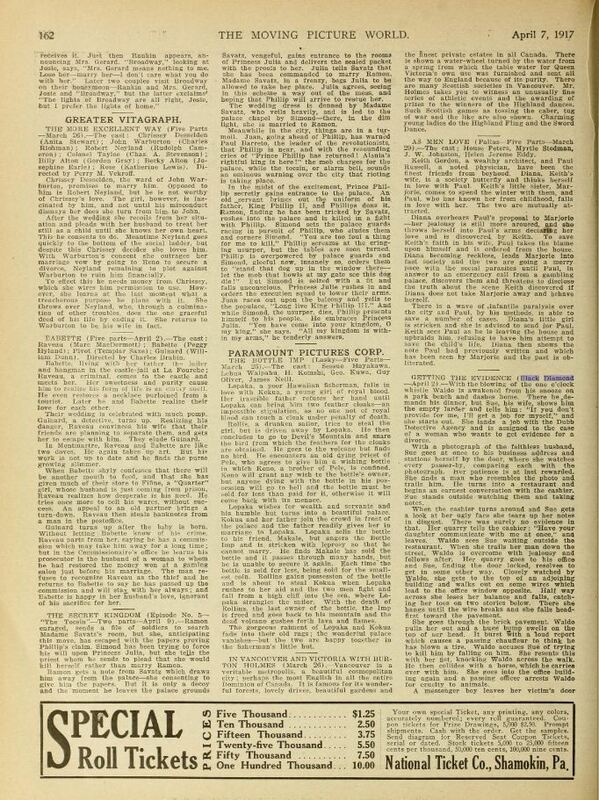 An article for the film that appeared in the April 7, 1917 issue of The Moving Picture World. The USMPC received a copyright for this film (#10501) on April 4, 1917.